Ok it’s the middle of winter. Long Island has packed away their lawn mowers and closed up the barbecues – but, it’s a great time to get inspired and imagine the new outdoor space of your dreams, just in time for spring! As you consider your next home improvement project, keep in mind that outdoor living spaces add appeal and value to your home. Weather it’s a new driveway, stoop, patio, pool-scape or outdoor kitchen, a new exterior hardscape adds incredible impact and value to your home. Keep in mind that lines, patterns and textures add beauty and appeal to an outdoor design. Plants, shrubs and greenery along the edges of your hardscape can compliment and enhance the beauty of your design. There are so many different materials and textures available today. 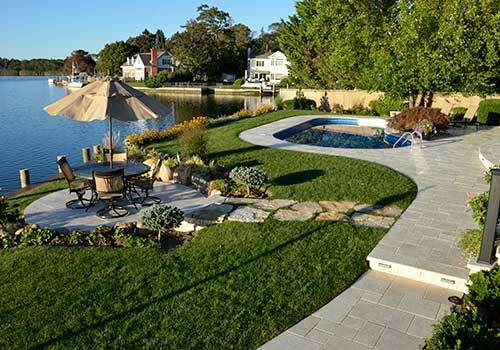 Travertine natural stone pavers make a stunning patio or pool-scape. Paving stones and bricks make a driveway beautiful on their own, but also work as a great accent for decorative asphalt / blacktop driveways. Map out the area in your mind, or sketch it out on paper. Then our professionals can provide a computer-generated digital image so you can see the full design before construction starts. A professional can work with your design ideas while ensuring that all the construction is done safely and in compliance with applicable codes. 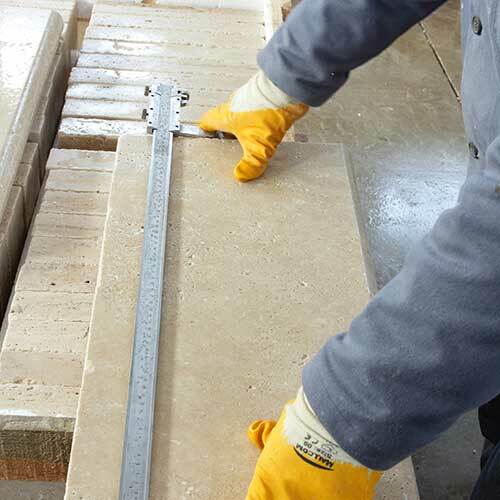 Professional masons and paving contractors incorporate factors such as rain and water drainage, so it has a place to go besides your basement or crawlspace. They make sure your hardscape design grades away from your home so that water will drain naturally and won't pool in corners or the middle of the design. Contact us to learn more about how Flawless Paving & Masonry can help you get started on your next outdoor project. We service all of Long Island and beyond (Nassau County, Suffolk County & Queens, NY).